Students receive positive and negative feedback on their work all the time. Constructive feedback is part of learning. The challenge for students is learning to receive criticism so you don’t take it personally, and your nursing practice improves. I’ve found the fundamental shift happens when we internalize the fact that all substantive work brings both praise and criticism. Many people carry the unconscious belief that good work will be met mostly — if not exclusively — with praise. This goes back to the days of playing soccer and receiving a trophy for coming in 18th place! Yet, in the real world, the terrain is very different: Clinical nurses analyze critical incidents to avoid repeating mistakes, discuss protocol, and improve processes. A lot of constructive criticism is tossed around at some of those committee meetings! Nurses are taught to approach patient care situations with an eye for what is out of place or needs attention. This makes nurses excellent observers and keen problem solvers. It becomes natural for us to enter a patient care situation and begin immediate analysis, often taking action and giving direction at the same time. Being able to do this is a great asset. However, depending on how the criticism is delivered it sometimes can come across as harsh to a new nursing student. Dealing with constructive feedback should be part of continuous professional development. Learning how to use and receive constructive feedback will result in positive outcomes. We need to retrain our minds to expect and accept this. Always recognize and acknowledge mistakes. Never ignore them. Develop an attitude of gratitude. This can begin with thanking your clinical faculty for pointing out ways to improve a certain skill. Faculty want you to succeed; part of their job is to make you the best nurse you can be. You won’t be a great nurse if someone never suggests ways to improve. Take some time to get to know the staff nurse with whom you are precepted. Ask what he/she has learned from their yearly evaluations as a new nurse. What made them into the nurse they are today? I bet you will be surprised to find out they received some ‘constructive criticism’ along the way. 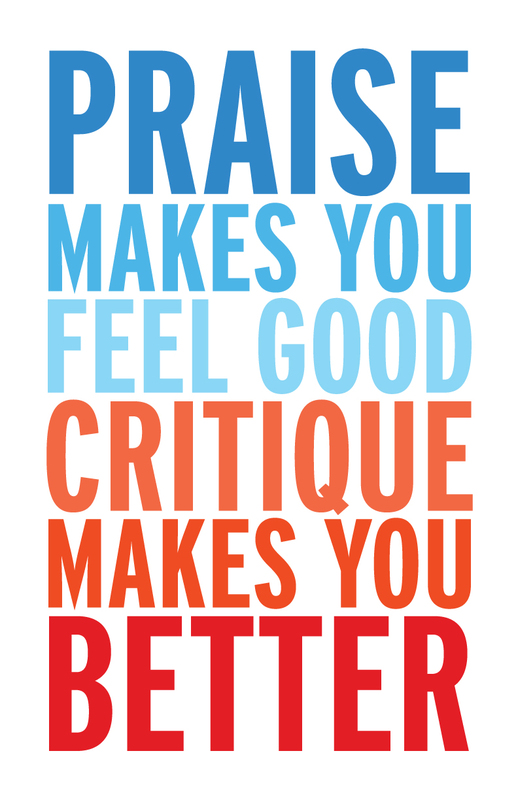 Learning to respond to praise and criticism — without getting hooked by it — is for most of us, a necessary rite of passage.